What Makes Harsha Bhogle Such A Likeable Personality Among Cricket Fans? With Harsha Bhogle, it is a rare case of getting the perfect ingredients to make a great cricket commentator, anchor and a writer. Cricket background: Firstly, as a commentator, you do need some cricket background and though Harsha did not play International cricket, he did play for his school and University and was a decent cricketer and an excellent fielder. Early exposure: Given the fact that he started radio commentary at the young age of just 19 (thanks to his father) meant that he got early exposure and got to learn a lot quickly which helped him later on. Intelligence: He also is quite an intelligent guy and given his background and management education at IIM Ahmedabad means he is able to think differently and analyze the game much better. Yet, he doesn’t just sit back but actually spends hours in pre-match preparation. Joyful: There is also the hard work as he toils away for hours. He used to write articles in lunch break and also after a whole day of commentary to earn money. He has endured tough working conditions where at times his skin got peeled off due to the intensity of the light and his legs got stiff but he still has an ever endearing smiling on his face as he makes you fall in love with the game over and over again. People skills: Lastly, there are his people skills where he effortlessly starts a new topic of discussion by asking intelligent questions, involves his co-commentators or panel members and directs the flow smoothly. Every now and again he makes some observations about his fellow member to pull their legs which always keeps it light and not burdened in spite of all the analysis. No wonder, he was voted by Outlook as one of 8 people who changed the way their profession is perceived. What’s more, he was even voted the best commentator across radio and television on an internet poll even in Australia! It takes a lot to make up an all-round guy of the caliber of Harsha Bhogle! I am a game and sports enthusiast. I love Cricket the most and follow it religiously. I have played other sports like football, volleyball, badminton a few times and I also love to watch tennis (Federer is my favourite). Think you are a Cricket expert? 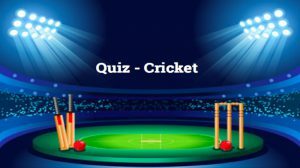 Then take a shot at these questions on Cricket! 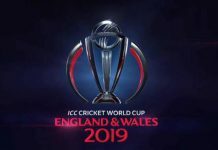 World Cup 2011 to 2019: Who Will Be Our Yuvraj in 2019?